The Centre for International Education held an open door event on May 15th. The event was organized for students who are interested in continuing their education abroad. The centre was established by the Georgian government after Prime Minister Irakli Gahribashvili came out with an initiative to support talented students to pursue their education and career. The government will provide financial support to those students who receive admission from the leading universities abroad. 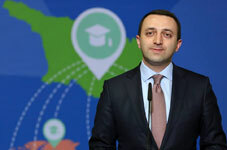 According to the Deputy Head of the State Chancellery, Nino Kobakhidze, the aim of this initiative is to use investments to give a better education to students, eventually for the welfare of Georgian society and for the further progress of the country. The Centre also plans to arrange a variety of seminars and courses under the guidance of foreign professionals invited from overseas. “The Prime Minister came out with many significant initiatives, but education is the most important among them and the highest priority,” she said in her opening speech at the event. PM Gharibashvili presented key concepts of the centre and said that the government is focused on preparing qualified staff with the necessary knowledge and skills which comply with the international standards. He stated that the key innovation of the concept is the fact that the students will be able to be employed in state sectors after they return from the Universities abroad. “The International Education Centre focuses on the principle of social justice. The centre prioritizes the financing of students who, without assistance from the state, would not be able to receive education in expensive schools of higher education abroad. The main novelty featured in the centre’s concept is that, after having come back home, the students will be employed in the public service sector and dedicate their knowledge to our country,“ PM said. The International Education Centre currently works on three programs: funding Master and Doctoral Programs abroad, the invitation of scholars and practitioners living abroad in Georgia, the programme for raising qualification and the professional retraining of public officials.